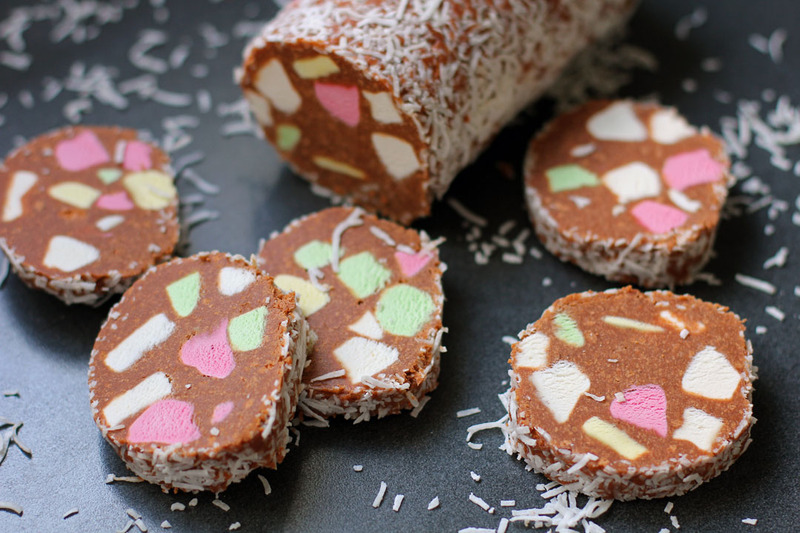 Lolly cake or lolly log is a New Zealand type of no bake cake which contains “lollies” (sweets / candies) as its main ingredient. These lollies used are Eskimo Lollies or Fruit Puffs which basically are firm and chewy marshmallows. These sweet are then combined with a crushed malt biscuits with melted butter and condensed milk then formed into logs and refrigerated to set. Slice Eskimo lollies into bite sized pieces. In a bowl combine butter, condensed milk, malt biscuits and lollies. Place combined mixture over a sheet of cling wrap then form it into a shape of log. Sprinkle coconut all-over the logs then seal the cling wrap. Place in the refrigerator for at least 4 hours or until set. Slice and serve with coffee or tea. Sweet and colorful…I can see this being a popular treat. no eskimo lollies here in the philippines.. what’s my best alternative? is it okay to use regular marshmallows? I haven’t tried regular marshmallows yet but if there’s no option try the baking marshmallows. The texture of eskimo lollies is denser than the usual marshmallows. oh i see.. thank so much raymund. got to look around for that so i could try the recipe. happy weekend. thank you.. i sure hope i could find a substitute. I can just imagine how good that would taste ! Forget kids in the house, adults would love it too ! Wow! When I see these amazing colours and that wonderful concoction of biscuit, chocolate and decadence wrapped around the lollies, I can tell this is one of those must try recipes! I’ve only just returned from overseas, but I can tell I’ll have to lift my baking or no-bake game now! 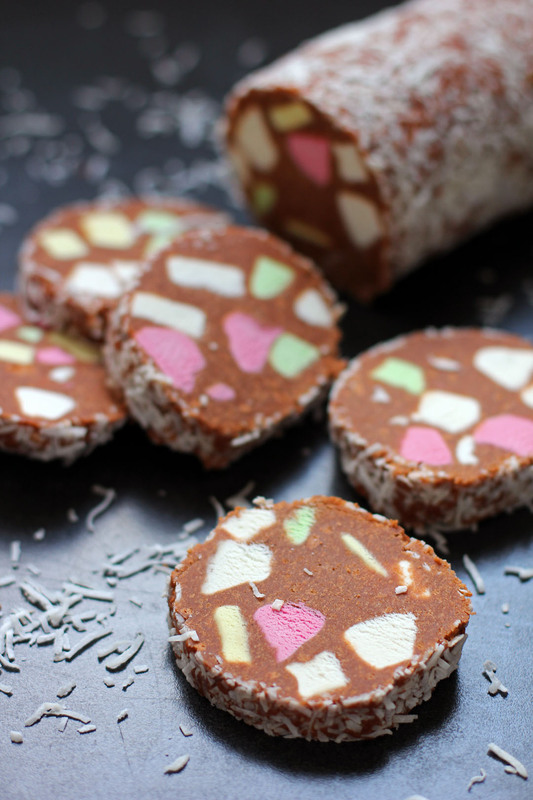 I am obsessed with how delicious and amazing this lolly cake is! I must recreate the recipe!